We haven’t seen each other for so long, I have so much to tell you. 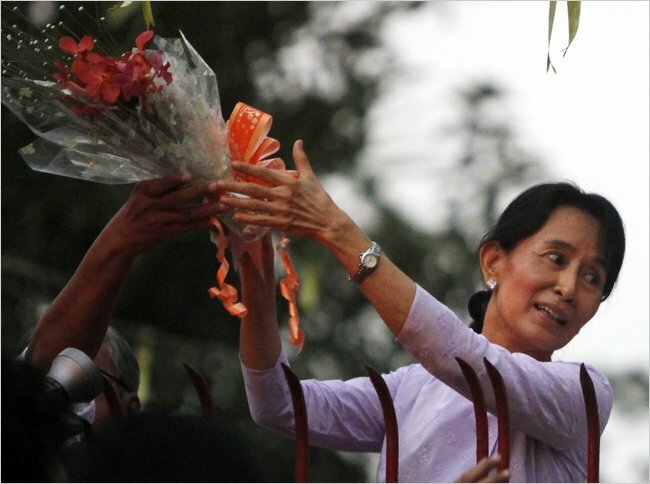 ~ Aung San Suu Kyi to her supporters, upon release today from 15 years of imprisonment. This entry was posted in non-music writing on November 13, 2010 by jessewgoin.